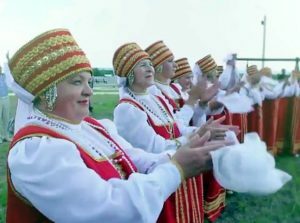 The “Silver necklace of Russia” is a tourist route through the cities of the Russian North-West and a new brand in Russian tourism. “Silver necklace” unites the most historically significant areas and cities, including St. Petersburg, Kaliningrad, Arkhangelsk, Leningrad region, Vologda, Karelia, Nenets AO, Veliky Novgorod, the Republic of Komi, Pskov, Murmansk region. The idea of creating the “Silver Necklace of Russia” was first announced in 2012. In 2013, the first step was taken to unite the regions and the agreements on cooperation between cities were signed. Today, the new project covers 11 regions. Arhangelsk region. 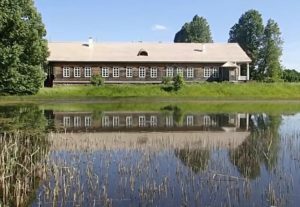 The program includes the city of Arkhangelsk, the village of Malye Karely – a well-known museum of wooden architecture of northern peoples, the lake Onega and the Solovky Islands. Vologda Region. This area is the keeper of Russian history. Many of the most ancient monuments and cities of Russia are concentrated here. The “Silver necklace of Russia” includes: the city of Vologda (the St. Sophia Cathedral, the Kremlin, the house of Peter the Great, the Spaso-Prilutsky Monastery), the town of Veliky Ustyug (house of Father Frost, the Prokopy Church, the Ascension Church, mansions of the merchants), the town of Kirillov (Archimandrite Corps, Kirillo-Belozersky Monastery), the town of Totma (Museum of Sailors, Spaso-Sumorin Monastery), the town of Belozersk (Kremlin), the town of Vytegra (Besov Cape). Leningrad region. One of the most historically significant areas of the “Silver Necklace”. The following objects are included in the project: the town of Shlisselburg (the stronghold of Oreshek), the village Gomorovichi (the chapel of St. Nicholas the Wonderworker), the town of Lodeinoe Pole, the Upper Mandrogi village, the Gladyshevsky reserve, the town of Tikhvin (the Assumption monastery), the towns Vyborg, Strelna, Staraya Ladoga and Priozersk. Novgorod region. The region is rich in ancient cities and countless cultural monuments, many of which are recognized as a UNESCO heritage. 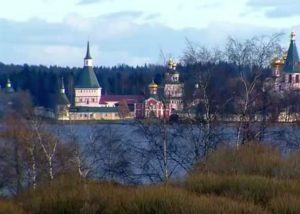 The route includes the city of Veliky Novgorod (St. Sophia Cathedral, the Kremlin, Yaroslav’s Court, Yuriev Monastery), the town of Staraya Russa (Savior’s Transfiguration Monastery, Dostoevsky’s House Museum), the village Valdai (Iversky Monastery, museum of bells). 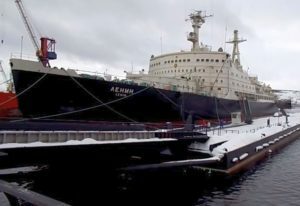 Murmansk region. Here, the “Silver necklace of Russia” includes the peninsula Rybachiy, the lake Lovozero (the unique Saami village), the town of Apatity (Museum of Mineralogy), the town of Revda (the Seydyavvri reserve), the town of Severomorsk (Air Force Museum of the Northern Fleet), Murmansk (Icebreaker “Lenin), the Umba village (Museum of Pomor culture). Nenetsky Autonomous Region. An original land with a harsh climate and traditions of indigenous peoples, which are preserved in its original form. Here the route includes the Nelmin-Nos village and the city of Naryan-Mar with museums, ethnocultural centers and reindeer herding camps. 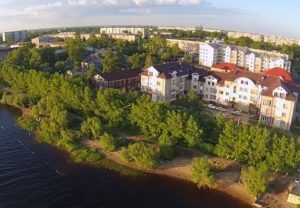 Pskov region. For many centuries the region was the most important defensive and cultural center of the country. 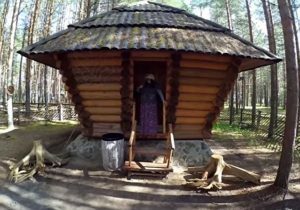 The route includes the town of Izborsk (the fortress, Slovenian springs, ancient settlement of Truvor), the village Pechory (Pechora Monastery), the city of Pskov (Kremlin, Trinity Cathedral, Pokrovsky Complex), the Pushkin hills reserve. Republic of Karelia. This republic attracts attention with its rich cultural and natural heritage, opportunities for year-round tourism. 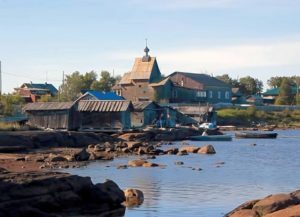 The routes of the “Silver Necklace” include the city of Petrozavodsk, the Kizhi Island (monuments of wooden architecture), the Marcial Waters resort (the Peter’s Church, the Museum of the first Russian resort), the city of Kem. Komi Republic. 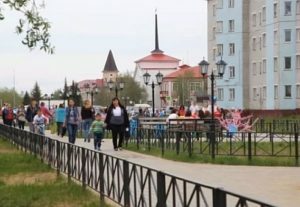 The city of Syktyvkar (Ethno Park of Finno-Ugrians), the Buredan waterfall, extreme routes from Vorkuta to Borzov mountain, the Dolgushin and Bocha glaciers, the sacred places of reindeer herders. Kaliningrad region. This is one of the areas with the most significant legacy. 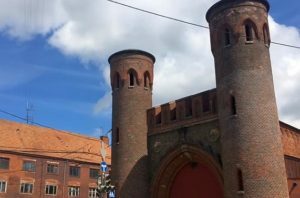 The project includes 16 castles of the region, including the “Dona” tower and the Zakheim Gate. Saint- Petersburg. A separate direction of the route is the Northern capital with its countless architectural and historical heritage. However, the journey through the “Silver Necklace of Russia” will not be limited to sightseeing. On the expanses of the route there is a place for event tourism. The festivals of historical reconstructions “Iron City” (Izborsk), “Mr. 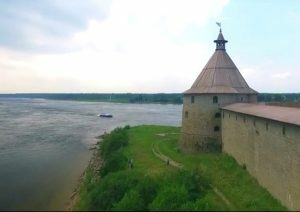 Veliky Novgorod”, “Ratobortsy” (Staraya Ladoga) are getting a great public interest. The universal route “Silver necklace of Russia” unites 43 Russian tour-operators, which offer more than 170 routes.